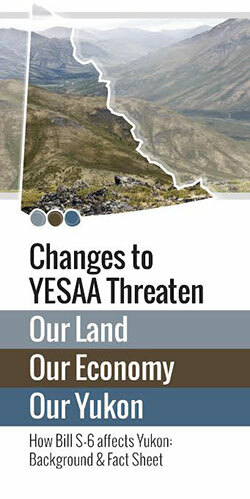 For an introduction to the Yukon Environmental and Socio-economic Assessment Act and related issues, view the brochure to the left. Champagne and Aishihik First Nations, Little Salmon/Carmacks First Nation, Teslin Tlingit Council file petition to Yukon Supreme Court. (October 14, 2015).